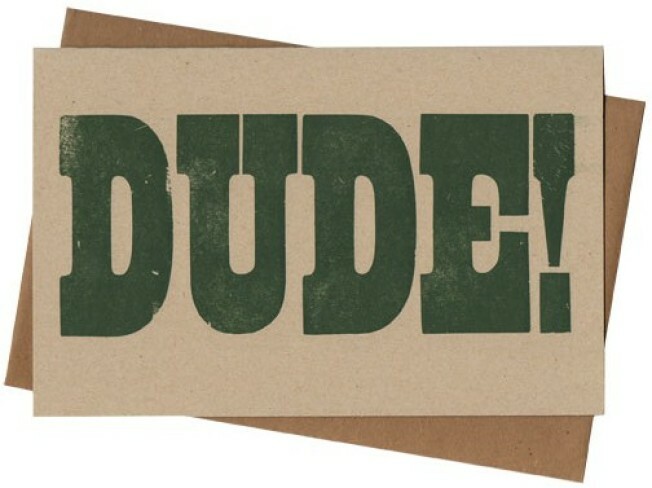 Designed by Ferdinand, it's the Dude! Card. Find it at the Curiosity Shoppe.